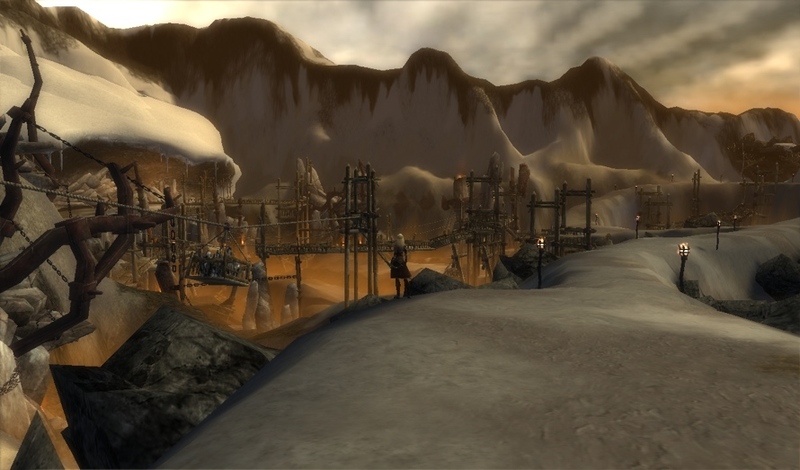 This is the one of the smallest and easiest areas to explore in Tyria. It’s also the last one within Northern Shiverpeaks. For this area I was joined by my friend and fellow guild mate Princess L. (but I don’t think she is actually a real princess!) 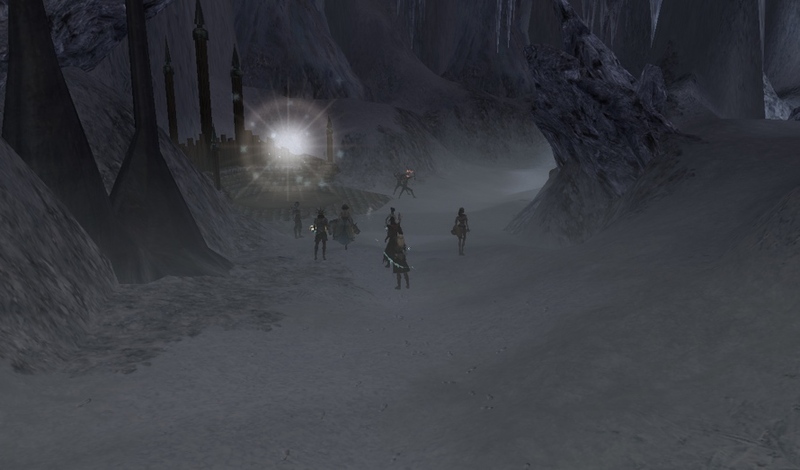 As soon as we entered Griffon’s Mouth (from Deldrimor Bowl), some White Mantle Seekers were fighting off two Ettins. This will be the last area for a while with Dwarven architecture, until I get to the Southern Shiverpeaks. That being said, there really is not a whole lot of that here. Deldrimor Bowl is mostly populated with Centaurs, the same variety that I first noticed in Traveler’s Vale. Unfortunately I do not know very much about these Shiverpeak Centaur’s culture or language. Leaving from Beacon’s Perch with my friend (and fellow guild mate) we found some Ascalonian Refugees on their way to Kryta. Of course the refugees wouldn’t have made it this far without the help of Prince Rurik. He guided Ascalonians through the Frost Gate. It cost Prince Rurik’s life, but his sacrifice ensured a safe passage through the Shiverpeaks. I started exploring Anvil Rock from the Ice Tooth Cave outpost. My first task was to find the legendary anvil structure for which this area is named, and secondly to look around for anything else interesting. The map I have been using on my travels directed me to this point. It is a great spot from which to look around the area, but to see the features of the anvil I will need to look at it from the bottom of this peak. Continuing on into Iron Horse Mine from Traveler’s Vale, it doesn’t take long to find a Stone Summit’s strip mine. Of all the races in Tyria, Dwarves are best known for mining. It is common to see furnaces and mining equipment in their outposts and small settlements in explorable areas. Unlike the Deldrimor Dwarves, the Stone Summit refuse to help any other races and want to enslave them all to rule the world. Slaves are put to work in mines and when beasts are acquired, they are used as mounts with the help of chains and violence.